Maximizing income tax and transfer tax deductions have always been the obvious focus of charitable planning. But when you look more closely, charitable planning can be used to accomplish many other significant personal, non-tax client goals. 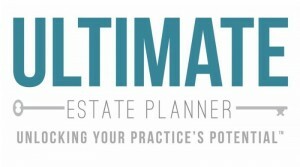 For example, do you know that properly tailored charitable planning techniques can be used to accomplish these important client objectives? Promote the client’s personal values or interests from beyond the grave - - and involve family members so they bring these values or interests into their own lives too! Whether you’re an estate planning attorney, financial advisor or CPA, you need to know these overlooked and creative uses of CGAs (Charitable Gift Annuities), CLTs (Charitable Lead Trusts), CRTs (Charitable Remainder Trusts) and other charitable planning techniques on a special 90-minute program entitled, “Creative & Overlooked Charitable Planning Techniques Every Advisor Should Know”, presented by nationally renowned estate planning attorney and CPA, Martin M. Shenkman, J.D., CPA, MBA. Martin “Marty” Shenkman, Esq., CPA, MBA is an estate planning attorney and Certified Public Accountant from Paramus, New Jersey. He received his Bachelor of Science degree from Wharton School, University of Pennsylvania 1977 with a concentration in accounting and economics. He received a Masters degree in Business Administration from the University of Michigan 1981, with a concentration in tax and finance. Mr. Shenkman is a widely quoted expert on tax matters and is a regular source for numerous financial and business publications, including The Wall Street Journal, Fortune, Money, The New York Times, and others. He has appeared as a tax expert on numerous television and cable television shows including The Today Show, CNN, NBC Evening News, CNBC, MSNBC, CNN-FN and others. He is a frequent guest on radio talk shows throughout the country and has a regular weekly radio show on Money Matters Financial Network. Mr. Shenkman is a prolific author, having published thirty-four books and more than seven hundred articles. 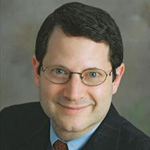 Mr. Shenkman has served as contributing editor to a host of publications, including: New Jersey Lawyer, The Journal of Real Estate Finance, Real Estate Insight, Commercial Leasing Law & Strategy, The Journal of Accountancy, Real Estate Accounting and Taxation, Shopping Centers Today, and others. Mr Shenkman is active in numerous charitable organizations, sitting on many boards and planned giving committees and lectures regularly for these and other organizations.